To celebrate the 20th anniversary of Dubai Shopping Festival, most of the malls in Dubai have some fantastic prizes to giveaway. Let's see how to become a Millionaire with various shopping malls during Dubai Shopping Festival. 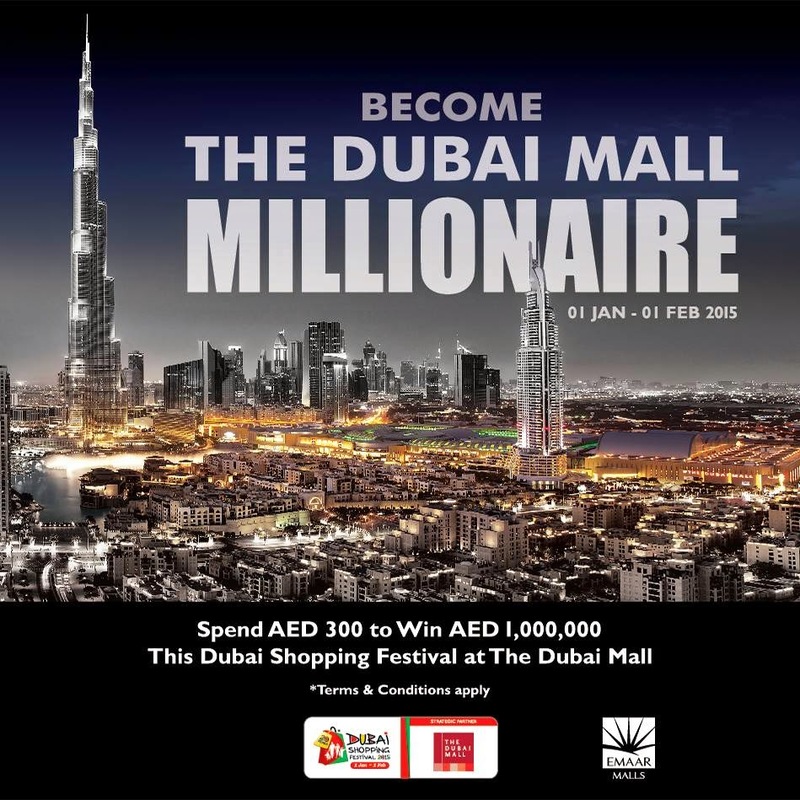 Get the chance to become The Dubai Mall millionaire! Spend AED 300 for your chance to win AED 1,000,000 with The Dubai Mall! 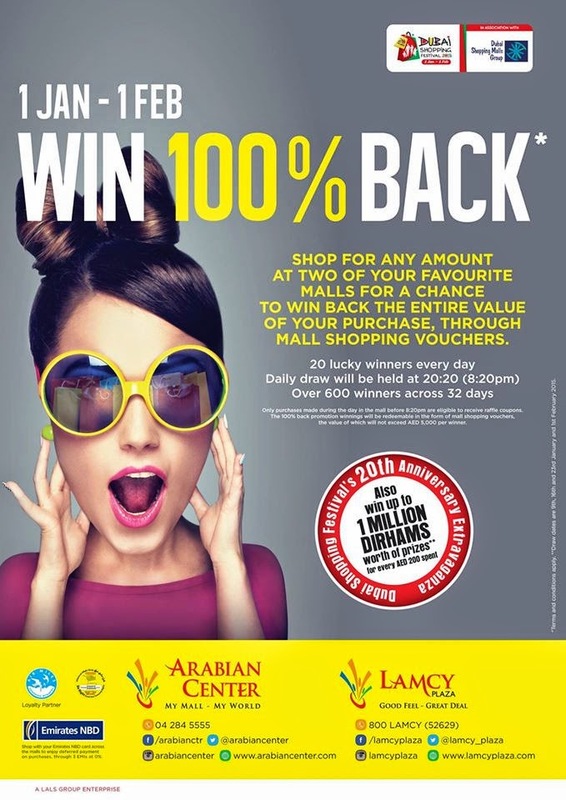 Shop now at Lamcy Plaza and get a chance to be one of the 10 lucky winners who get 100% back of their purchases through Mall shopping vouchers daily. Also shop for just AED 200 and get a chance to win upto AED 1 Million. Offer valid till 1st Feb.